To check if your Mac is compatible, open the Apple () menu in the upper left corner of your Mac's screen and select About This Mac. 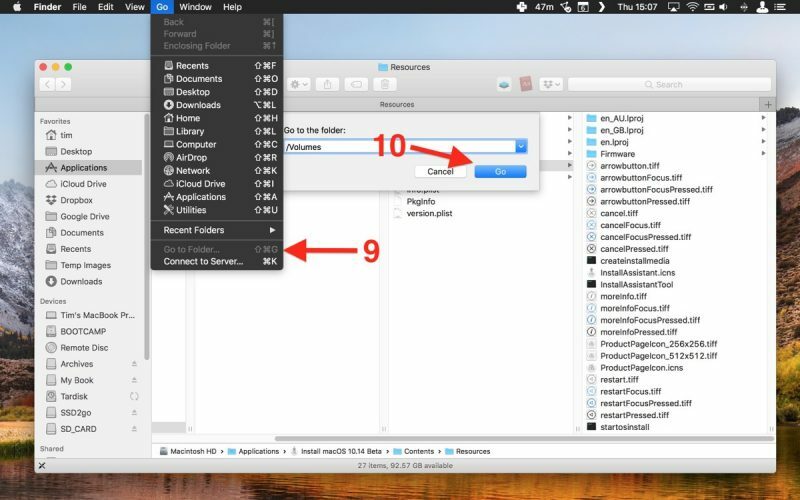 Look just below the OS X version number in the Overview tab – if the Mac model name is the same or a later model year than the one shown in the compatibility list above, your Mac is compatible with macOS Mojave. 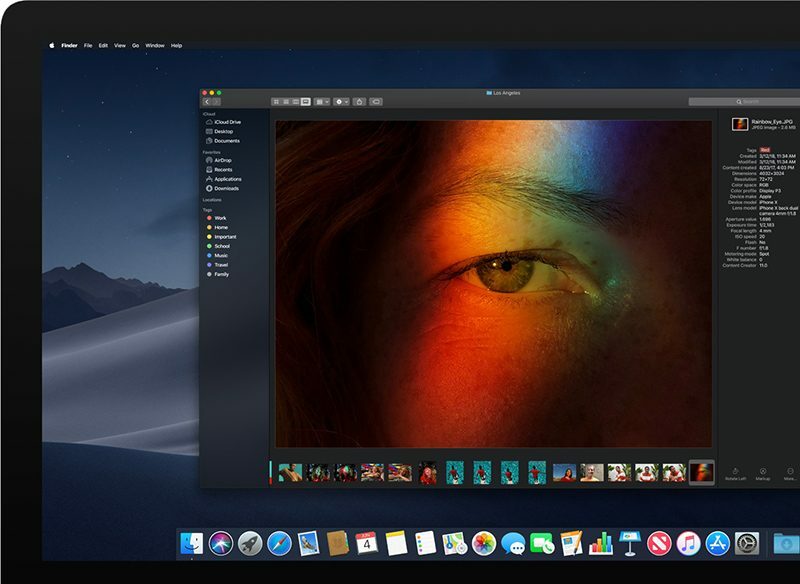 Download macOS Mojave, either via Apple's Public Beta Program or from the Mac App Store (once it's available). Still in the Terminal window, type --volume followed by a space. 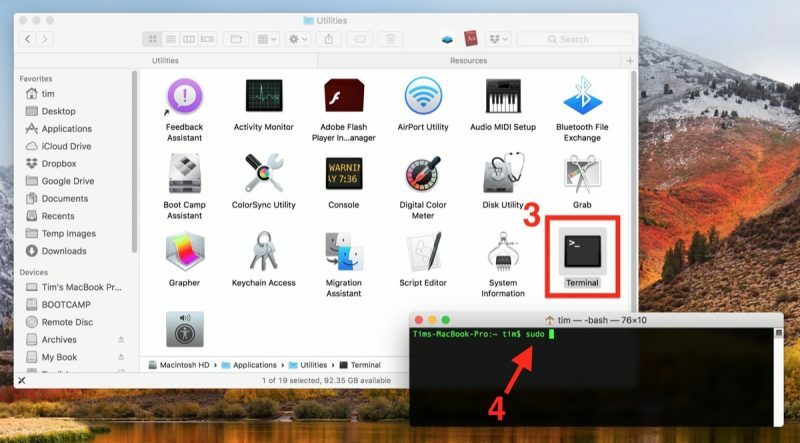 Drag the USB drive's icon from Finder into the Terminal window. 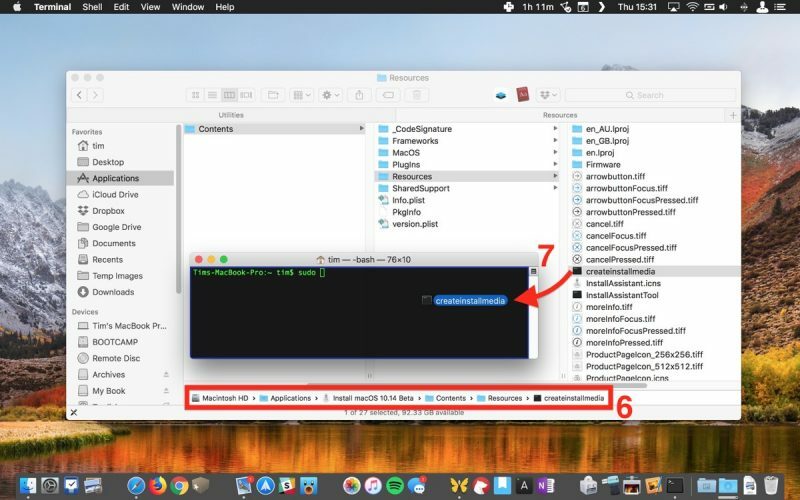 Type Y and press Enter when prompted, and the command will create your bootable Mojave installer on the USB drive. This will take a few minutes to complete, so leave it running. 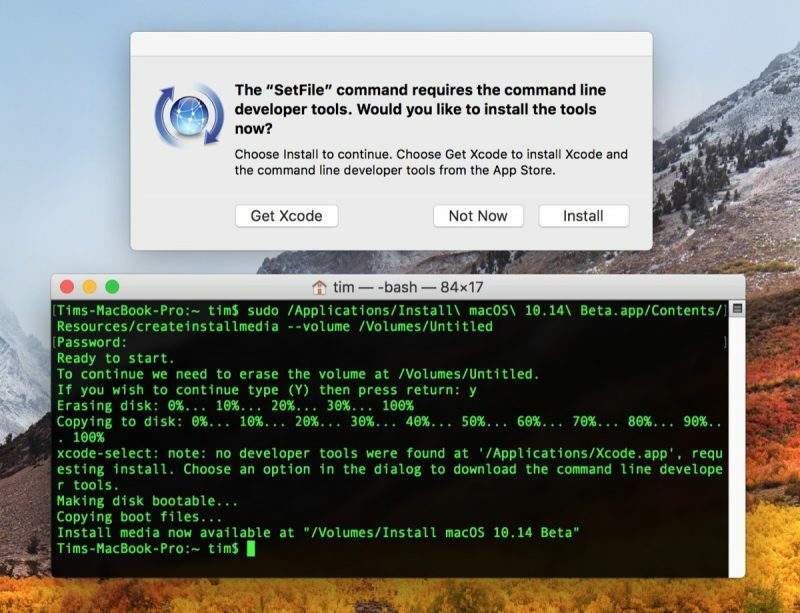 Note that if you're asked whether you want to install Xcode during this time, you can safely click Not Now and the process will complete successfully regardless. 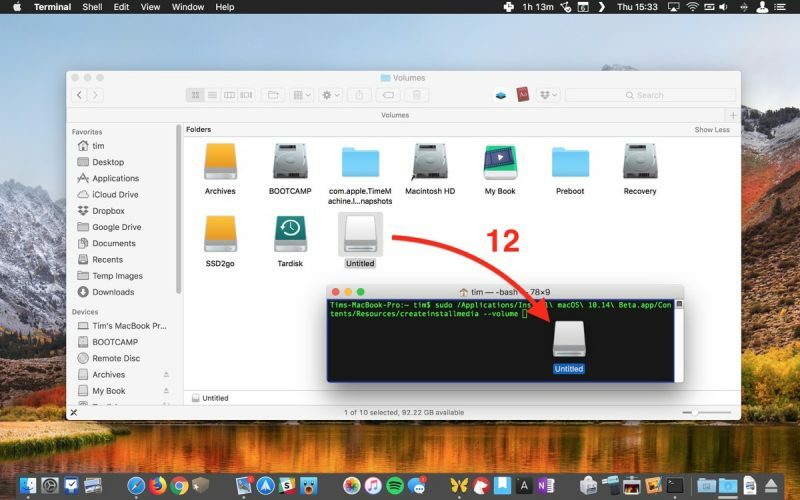 Once the USB drive has booted, select Disk Utility from the Utilities window, choose your Mac's startup drive from the list, and click Erase. 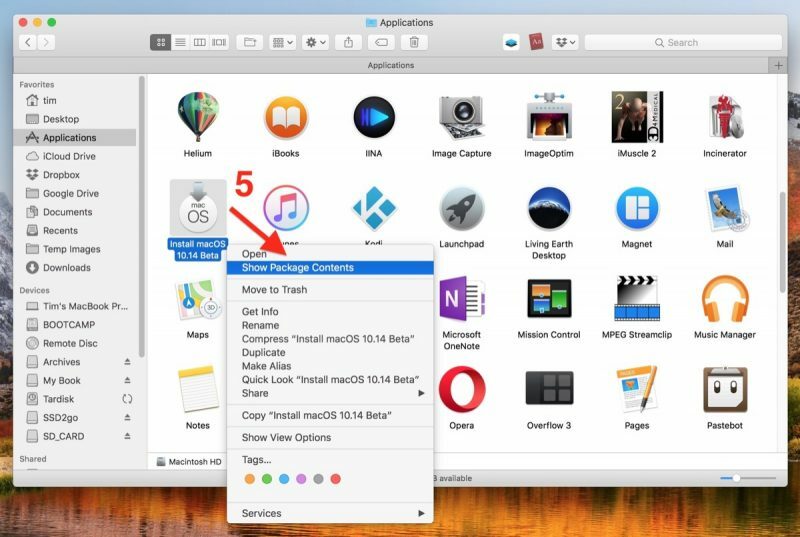 When your Mac's startup disk is formatted, return to the Utilities window and select Install macOS, choose your freshly erased startup drive when asked where to install the OS, and follow the onscreen prompts to complete the installation. 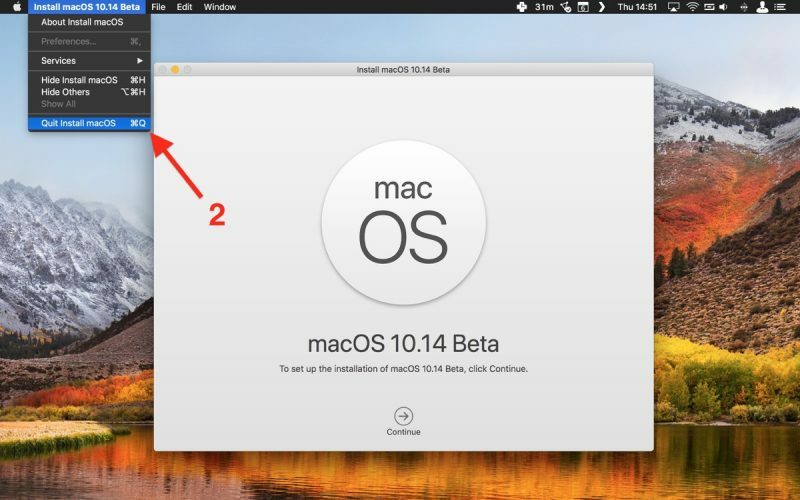 Just download macOS installer on any Mac and use it to install macOS on any disk like the pendrive. It will become a bootable disk. But it won’t become an installer, so that’s a completely different outcome.